As a food writer and cooking teacher, I spend a lot of solo time in the kitchen testing recipes and solo time at my desk researching and writing. So recently, when I got asked by BlogHer and Malibu to go out for a night on the town with friends to sample cocktails, I was more than happy to deviate from the routine. My friends Barb and Colleen joined in on this girls' night out to try out cocktails at Prohibition on the Upper West Side, one of the places in New York that serves the new Malibu Island Spiced rum. Sweetened with Truvia®, a natural sweetener, Malibu Island Spiced is infused with coconut, vanilla, and cinnamon flavors. The weather in New York was finally starting to warm up, so it was the perfect time to try out these cocktails made with Caribbean rum. 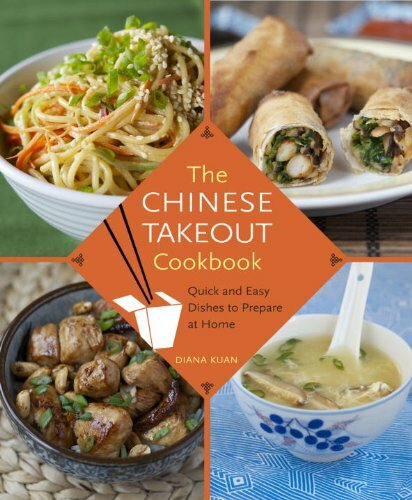 The Chinese Takeout Cookbook Giveaway! 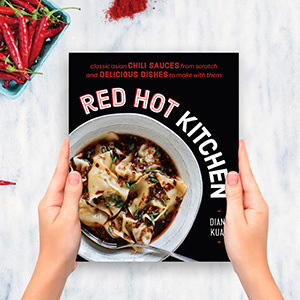 What a great 5 months it has been since the release of The Chinese Takeout Cookbook! The last few months have been a whirlwind of interviews, classes and events, article-writing, and the like. Thank you for all the support. You've helped so much by buying the book, recommending it to your friends and family, participating in the Virtual Potluck back in February, and otherwise tweeting, Instagramming, and Facebooking about the book and its recipes. As someone who grew up eating a lot of Chinese dishes served family-style, I like to whip up fried rice at home on a regular basis. It's easy and oh-so-versatile. For special occasions like Chinese New Year, I like making Yangzhou fried rice, loaded with roast pork and shrimp. But most of the time I just like making a vegetarian fried rice using fresh finds from the farmer's market. As a food writer and cooking teacher, I have to buy groceries 3 or 4 times a week. As a New Yorker, I often have to schlep those groceries home 3 or 4 times a week on the subway. Even with sturdy tote bags, hauling fresh produce, sauces, bottles of wine and olive oil, and anything else is an extreme pain, especially during rush hour. Then about 2 years ago, I finally took the plunge and signed up for FreshDirect, after hearing good things from friends who use it religiously. I've been using it every week since. And one of the major reasons, other than saving me backaches, is that it seems designed to suit the schedules and tastes of busy city dwellers. First, let's talk about schedules. I love the fact that I can get grocery delivery any time from 6:30am to 11:30pm. Grocery stores aren't open so early and so late. Even if I don't normally get up that early or want to accept deliveries that late, it's nice to know that those times are available, in case of emergency. (As someone who also caters small parties from time to time, there really are instances when you really do need ingredients delivered at odd hours!) I also live on the third floor of a walk-up building, and it's pretty wonderful to have those big boxes delivered right to my door.